Donald Trump, announcing the halting of refugee admissions and the temporary barring of people from seven Muslim-majority countries, cited the terrorist attacks in 2001, which killed nearly 3,000 people. “We will never forget the lessons of 9/11,” said the new US president. A senior White House administration official, briefing the US media on the travel ban, told the Washington Post: “I want to make a point that — and I mean this very sincerely — which is that the United States chose not to be rigorous with respect to its immigration laws before Sept. 11, and 3,000 people were murdered. Critics say none of the 9/11 attackers were from the countries on the banned list: Iran, Iraq, Libya, Somalia, Sudan, Syria and Yemen. “To be clear, this is not a Muslim ban, as the media is falsely reporting,” Donald Trump said in a statement. “This is not about religion — this is about terror and keeping our country safe. 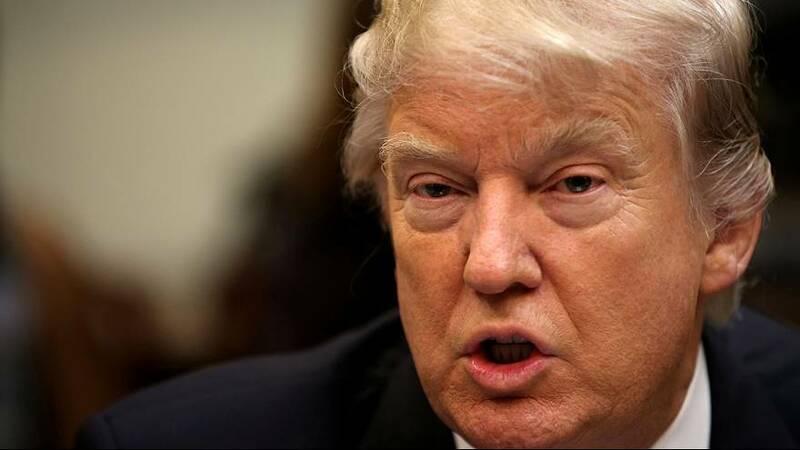 Critics, however, point to an interview Trump gave to the Christian Broadcasting Network in which he said Christians would be given priority in the US’s refugee programme. The Pew Research Center says 12,587 Syrian refugees were admitted into the USA in 2016: 99 percent were Muslim, one percent Christian. However, overall, for all refugees that arrived in country last year, 38,901 were Muslim, 37,521 were Christian. 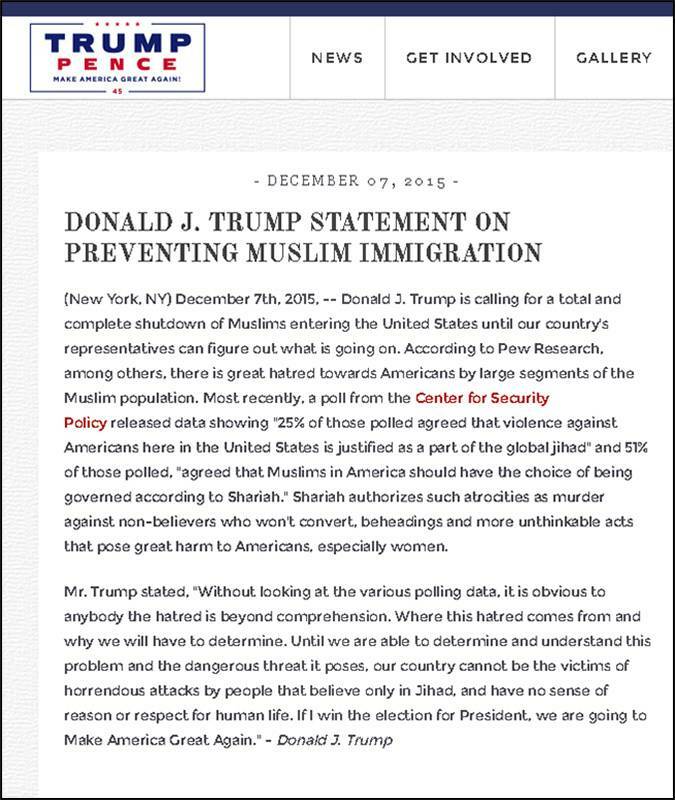 One of Trump’s campaign pledges, however, was a total and complete shutdown of Muslims entered the United States. The media need to stop their ‘false, misleading, inaccurate, hyperventilating’ coverage of the ‘fractional, marginal, minuscule percentage’ of international travellers who were detained for extra questioning, a senior White House administration official told the Washington Post. Trump said 109 had been detained over the first 24 hours of the ban and that, on an average day, 325,000 residents of other countries enter the USA. It’s unclear, however, how many people were prevented from boarding flights in the US, without being detained. Media reports suggested there was chaos at various US airports, something Trump put down to protesters and Delta Airlines’ computer issue, which saw 150 flights cancelled on Sunday. Trump’s executive order banned immigration from seven Muslim-majority countries: Iraq, Syria, Iran, Libya, Somalia, Sudan and Yemen. Critics say, however, the majority of those involved in terrorism in the US since 9/11 have been citizens or permanent residents of the USA. Others questioned why Saudi Arabia, United Arab Emirates and Egypt were not on the list, given 18 of the 19 attackers on September 11, 2001, were from these countries.